I started my hobby and interest into Vietnam well before I met the Living History group guys and the Huey crew by reading a lot about the US Navy and US Air Force dogfights over Vietnam. Around 8 years ago I was introduced to the game of airsoft and this was the starting point into learning more about the Vietnam war on the ground as one of my friends turned up in US army gear for that era and I quite liked the look of that!! So not before long we were both attending airsoft games specific to the Vietnam war era. This is where I hooked up with the No Slack living history group. As a member of the No Slack living history group for the last 5 years I like to show the public what the troops carried with them in Vietnam. 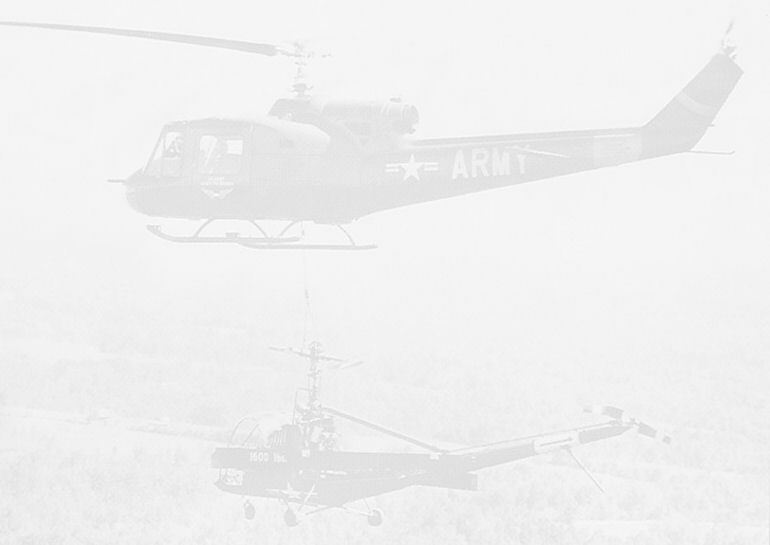 When I was invited to come along to a Huey event a few years ago I immediately jumped at the chance to help out where possible as it completed the telling of the story from the combat soldier. As part of my travels, I had the chance to visit Vietnam in 2012 and have visited the usual places like Saigon, Hue and Khe Sanh. However my highlight of the trip was a journey into the Ashau valley where I visited the remains of FSB Birmingham, after this I went through the mountain range via Highway 49 and ended up in A Luoi which was in those days a lot smaller! This is where I was given permission by the local chief to visit Hamburger Hill (dong Ap Bia) with a local Montagnard guide. With his help I climbed the north slope to the top as the south was still too dangerous with un-exploded ordnance lying around. At the time it was the start of the monsoon season and the rainfall was heavy and the air oppressive. It gave me a far greater understanding on how difficult this terrain was for the GI combat assaulting up a hill and how slippery and treacherous the jungle actually is. The respect I have for these guys for not only climbing up to the top under fire but also to do it with all the gear they had to "hump" with them. It is also the only place that I know of in Vietnam where you can still see the fighting positions as they were left behind by the NVA and US Army. - We drove, not ran to the top of Mnt Currahee near Toccoa, Georgia, as featured in Band of Brothers and visited the local museum which has one of the original stables from Aldbourne where the troops were housed in the UK. Don't forget, its 3 miles up and 3 miles down! They do an annual run to commemorate the WW2 airborne troops who ran this as part of their training. - Fort Campbell where the 101st Airborne have a magnificent museum (Don F Pratt Museum) with artefacts from Camp Eagle and donations from veterans themselves on display. If you are in the neighbourhood, it’s worth a visit as they have some unique air-frames on display outside as well, including a Lockheed AH-56 Cheyenne prototype.